I've checked and both museum are at SGD 25. However, taking into consideration that Trick Eye Museum is located inside Sentosa, you will need to pay either additional $1 if you were to walk in, or $4 if you were to sit the monorail. So that means Alive Museum is a bit cheaper. Also, they have promotion once in a while like student price etc. While Trick Eye Museum has package offer, so do check carefully before going (and even online discount). P/S Or you can be like me that purchased my tickets on Carousell! Both opening hours are from 10am - 9pm. Alive Museum focus on paintings paintings and more paintings. There are little interaction between you and the actual art and you have to really pose properly to get the effect. But thank goodness they have the stickers located on the floor to tell you where to stand. They are 2D after all. On the other side, for Trick Eye Museum, almost all are 3D, which means there is no need for you to pose properly to get the effect and you don't have to take at the certain angles to get those extraordinary images. Both have photos at the side/near the arts to tell you how to pose, and what I love Trick Eye Museum is the lighting. It's definitely brighter than Alive Museum and I don't need to brighten up my photos at the end of the day. Definitely feel that Trick Eye Museum has more art pieces as compared to Alive Museum! Alive Museum has lesser crowd (or in fact no crowd) while Trick Eye Museum is filled with people. Mainly tourist and I had a hard time trying to get a proper photo without having people photo-bombing me every 1 second. It's how bad it's. And since it's small, I felt suffocated in the crowd. It was just plain madness. And you will have to queue for the arts, which is a waste of time. That's why my journey inside TEM is much longer than AM. However, it will be easier for you to find help if you want someone to help you guys to take photos because apparently there isn't any staff walking around (maybe like that pathetic one). I find the staff in AM is better and friendlier in a sense that they will walk around and help you all to take photos without even you asking. 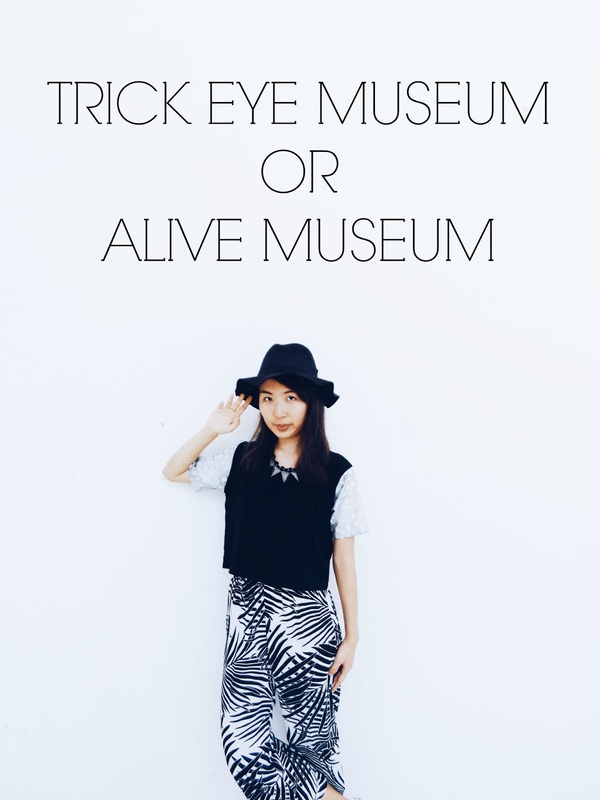 I will choose Trick Eye Museum over Alive Museum. But I would not go there again anytime soon unless they change their art pieces. Of course, both museums is worth going there once!! I am sure Alive Museum will change their art pieces more often than Trick Eye Museum as it's so much easier to change the 2D props.